Should I clean the carpet myself or seek professional carpet cleaning services? Carpets get dirty and stained over time due to frequent use. This may be caused by dust, dirt, stains, pollen, animal dander, pet fur, sweat, spills and much more. Furthermore, harmful substances such as mould, mildew, bacteria, and other germs may also be trapped in-between the fibres. This makes the carpet dirty, unattractive to look at and also a health risk to both people as well as pets. Letting the experts clean the carpet is the best way of getting rid of the dirt, germs, and other harmful compounds. They will clean it in record time using effective techniques. Unknown to many people, a dirty carpet is not only unpleasant to look at or sit on but also affects its structural integrity. Dust, stains, dirt, and other elements ruin the composition of the fine carpet fibers. For instance, the solvents or spills may weaken the fibres, or the mould, mildew or stains may lead to the fabric disintegrating. This will greatly reduce the life of the carpet. Professional cleaning helps in getting rid of the harmful elements quickly and also offers protection against the destructive compounds. Besides having a clean carpet a user is assured of a carpet that will last for many years. One of the key goals of cleaning the carpet is to improve the beauty of the indoor environment. Since time immemorial, carpets and rugs have been used to enhance the indoor environment of the home and also the office. They are viewed as a quick makeover that can instantly transform the living spaces. Unfortunately, a dirty or stained carpet has the opposite effect it lowers the aesthetic appeal. Letting the experts clean the carpet is the best bet to restoring the elegance of the carpet. The cleaners use their skills and proven methods that not only make the carpet clean but also restore the elegance. One indisputable fact about dirty carpets is that they are not only an eyesore but also create an unfriendly atmosphere. The carpets trap airborne pathogens and pollutants over the course of use. They also are good thriving ground for germs, mould and mildew among other compounds. Furthermore, allergens can also be trapped within the carpet fibers leading to allergic reactions such as asthmatic reactions. Such substances lower the quality of indoor air due to unpleasant odours. Proficient carpet cleaners use high-grade cleaning agents and effective techniques that completely get rid of pathogens, pollutants, and allergens. This goes a long way in creating a conducive environment. The desire of home and office owners is to have a clean carpet that will last for a long time. However, to achieve this it is paramount to regularly maintain the carpet. This entails frequent vacuuming, stain removal, cleaning, airing and more. But, the hectic lifestyle and time scarcity in the modern world makes it almost impossible to stick to the recommended schedule. 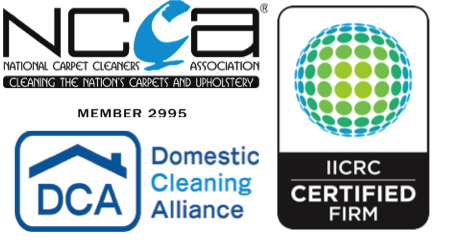 Engaging a professional carpet and rug cleaning firm is the most feasible way of being assured of regular maintenance. It saves the owner money, time as well as effort that are needed in the exercise. Reliable firms are always available on call and are easily reachable. The issues mentioned above are some of the key benefits of dealing with a professional carpet cleaner. A consumer is assured of cleanliness, safety, elegance, healthy indoors and longevity. In addition, a good cleaner also offers other extra services that include upholstery cleaning, furniture cleaning, water removal, and getting rid of pet odour among other carpet cleaning services. For maximum satisfaction it is advisable to engage a credible firm.